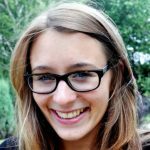 Katarzyna Kubiak is a TAPIR fellow (Transatlantic Post-Doc Fellowship for International Relations and Security) at the Norwegian Institute for Defence Studies. Previously, she was an associate at the German Institute for International and Security Affairs (SWP), research assistant at the Institute for Peace Research and Security Policy (IFSH), field researcher for the National Consortium for the Study of Terrorism and Responses to Terrorism (START) and a fellow in the German Bundestag. Katarzyna holds a Master of Peace and Security (University of Hamburg) and a Magister in International Economic Relations (University of Lodz). Following her PhD thesis on NATO nuclear extended deterrence (University of Hamburg) her research areas include ballistic missile defense, nuclear arms control and disarmament as well as nuclear non-proliferation.